My intention is to use this blog to educate people about the Catholic faith and culture, especially to promote respect for human life, especially where it is most threatened; in the beginning by abortion, in its end stages by euthanasia and by threats to our national security by terrorists. 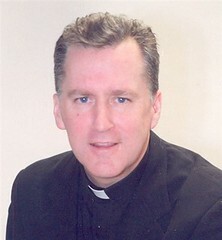 I especially hope my blog will become a resource for priests to help them with their preaching. I'll also give my own opinion on current events. This painting by Caravaggio is called "The Incredulity of Saint Thomas". We can imagine how the apostles must have been filled with joy at seeing the Lord raised from the dead, but the resurrection of Jesus is more than a historical event that we believe and then pass over. The resurrection of Jesus Christ applies to us in our life now. It is an ongoing and ever-present reality. Despair is a sin contrary to the virtue of hope. In a sense, it is a practical atheism. When we’re tempted with feelings of despair we’re like fools who gaze into the empty tomb wondering where Jesus is. He is risen from the dead! When we live in the light of the resurrection, we will not become despondent. Because of Christ’s resurrection we have hope of eternal life. Because of Christ’s resurrection we are also strengthened for our duties on this earth. The resurrection of Christ gives us hope that we can overcome a culture of death and build a culture of life. Jesus said to Thomas, "Have you come to believe because you have seen me? Blessed are those who have not seen and have believed." This applies to us if we believe in the resurrection and draw strength from it. 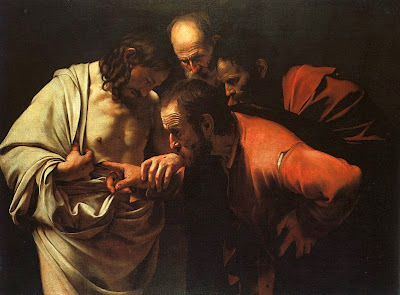 After witnessing Jesus risen from the dead, St. Thomas preached the Gospel in Parthia, Persia and India before being martyred in India by being stabbed by a spear around the year 72 A.D. Like St. Thomas the Apostle, we are called to overcome our doubts, believe in the resurrection and put the Gospel into practice in our lives.